Dr. Bartlett leads the Adult Congenital Heart Disease Program at UW Health. She completed her undergraduate, graduate and postgraduate training at the University of Arizona. She completed her fellowship in Pediatric Cardiology at the University of Iowa. She is board certified in pediatrics and pediatric cardiology. 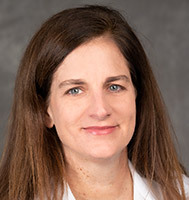 In addition to caring for adults and children with complex congenital heart disease, she has special interests in connective tissue disorders and cardiovascular genetics. Dr. Bartlett's research focuses on molecular mechanisms of heart development and outcomes of congenital heart disease.